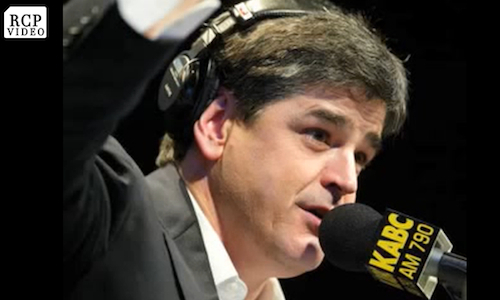 On Monday, Sean Hannity called the Obamacare Hotline during his radio show. You can hear that conversation here. Many on twitter worried that this transaction would result in the operator being fired from her job. We have since learned that Erling Davis, the woman who he spoke with on that call, was in fact fired. On Tuesday, following the call, Davis was called into HR and was dismissed because contact with the media was not allowed. Davis disputes that this was told to her during her training. Today, Hannity followed up by having Davis call back the show and he generously offered to give her what would be a year’s salary, which would be $26,000. To prevent that money from being taxed, he plans to give $13,000 to her and the other $13,000 to one of her two children. He makes it clear that he was only making the call for information purposes and that Davis should not have to pay a price for her doing her job. In addition, Hannity has put out notice to restaurants in Panama City, Florida (where Davis lives) to see if she can get a better job to replace the one she lost.